Today, our glorious Straits Times has an article ‘President’s tribute to Indian freedom hero’ on page B6. President Nathan sings praises of Bose, an ‘Indian independence fighter’, at the launch of the book ‘His Majesty’s Opponent: Subhas Chandra Bose and India’s struggle against Empire’. The President even went as far as to say that he had attended one of Bose’s speeches while he was in Singapore during the Japanese Occupation, and that his speech caused the then-young-Nathan to change his “…perspective of British rule…”. All respect is due to Bose as someone who sacrificed his career and life for an India that would be free from Britain. But then again, the ST article painted a glowing picture of Bose, without the inconvenient bits. Yes, Bose is perhaps one of India’s most important advocates of end-of-colonialism (together with Ghandi), but there is a reason why Ghandi is more widely known and respected than Bose. While Ghandi was a firm believer of freedom-without-violence, Bose was all for an armed-struggle to get rid of the Brits. And what’s more, Bose, in his quest for support, went to Nazi Germany for help. He didn’t just ask the Nazis for assistance to oust the Brits; he lived in Nazi Germany from 1941-1943, and had even met Hitler once to talk about the matter (click ‘here‘ and ‘here‘). With Nazi help, Bose even assembled an army of 500 in Germany to ostensibly ‘invade’ India. He also sought help from other axis powers, like Italy’s Mussolini and Japan. 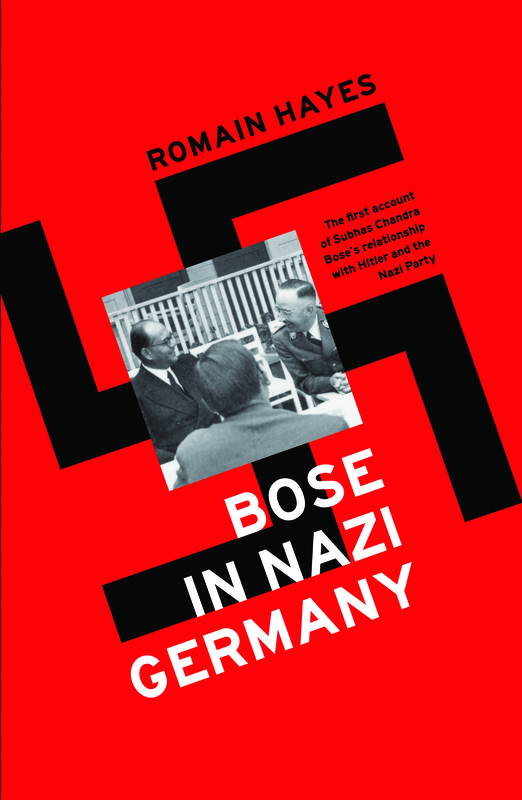 In the end, Bose left Germany, frustrated that the Nazis were not as helpful as he had hoped. Well, this blog-post is not about President Nathan and his open admiration of Bose (despite his calls for violence and association with the Nazis and other axis powers). The President can admire who he wants. However, I take issue with ST for an article that is devoid of any of Bose’s controversies. In the skewed article, ST painted Bose as a good-at-heart patriot who stoked the flames of India’s movement towards independence. ST conveniently omitted the facts that despite being a great patriot, Bose was however also courting grave danger (i.e. violence and the Nazis) in the name of India’s freedom. Why the ST didn’t write about this angle I can’t really tell… Perhaps it does not want to embarrass the outgoing President by linking him to a book about a man with a well-known checkered Nazi-linked past? And by the way, reading this new book may not turn up any more unsavoury bits about Bose; it is written by Harvard history professor Sugata Bose, yes, a grand-nephew of Subhas Chandra Bose….. This information has confirmed to me that our President Nathan was really anti-British to the extent of willing to embrace Nazi,Japanese,etc,he also hated the rich Indians accordingly to himself in this report.